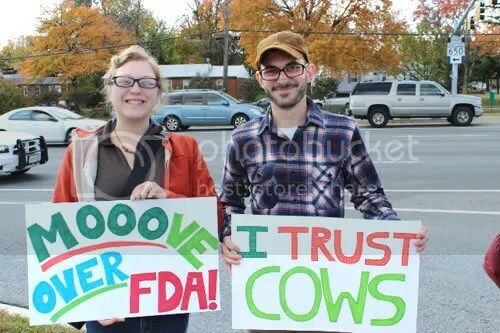 Demonstrators at the last Food Freedom Riders event at the FDA in Maryland. “Some mothers take their role as parents very seriously, and their focus on local, nutrient-dense foods has been growing in popularity . They invest hours of time preparing special allergy-friendly meals for their children, labor tirelessly growing and preserving their own foods every season, and they diligently seek out foods with the most nutritional value for their families, an ancient practice that lingers still today. 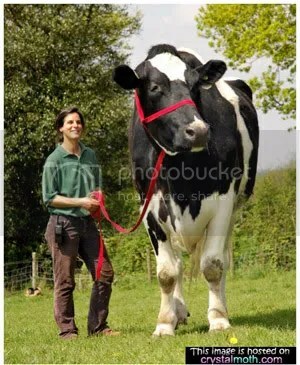 Does "big dairy" get to play by different rules? “Though Peanut Corp of America has been cited for responsibility in nine deaths and more than 700 illnesses from Salmonella in its peanut butter, its president, Stewart Parnell, has remained seemingly immune from prosecution nearly three years after the fact. Same with Austin “Jack” DeCoster of Wright County Egg, which was linked to as many as 1,700 illnesses from Salmonella in its eggs in 2010. Tagged as David E. Gumpert, Food Safety News, health, milk, raw milk, regulation, U.S.